Engage fans with live game coverage, real-time stats, and sponsor messages. 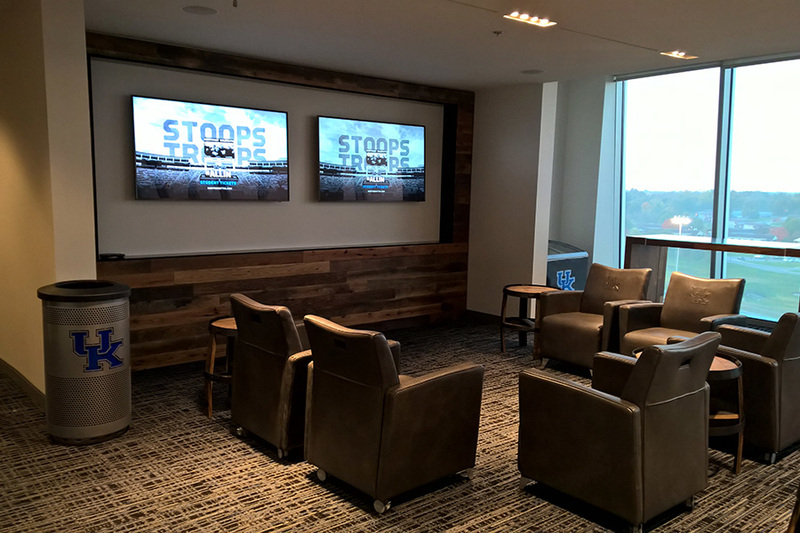 Digital signage and IPTV systems have become two of the most popular upgrades to arenas and stadiums around the country today. Visually engaging displays and the ability to distribute live game day content have made these deployments the most compelling enhancements to the fan experience in years. The real challenge of deploying these systems has been the cost of player hardware. While the price of screens has come down, the need for PC players or expensive set-top boxes to be attached to every screen has kept the overall system cost difficult to justify. Alpha Video Sports has developed it's own digital signage and IPTV solution called CastNET Sports. 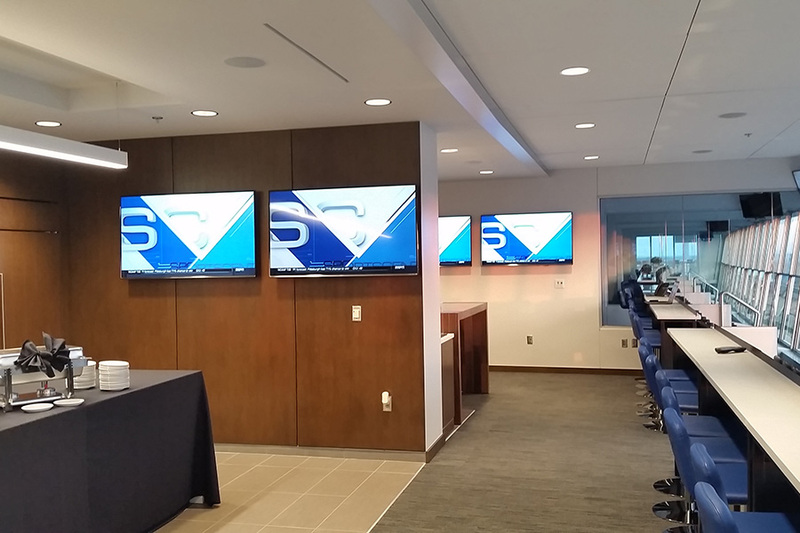 CastNET Sports is based on our award-winning, enterprise-class digital signage platform that has served the corporate, health care, and education markets for years. You can learn more about these solutions at www.castnet.com. CastNET Sports is a turnkey solution that integrates enterprise-class digital signage software with cost-effective IPTV video streaming hardware. The CastNET Sports solution offers a flexible, modular approach to adding exciting software features while using low-cost set-top boxes on each screen to reduce the per-screen cost of deployment. CastNET Sports shows live streaming channels and dynamic content on screens throughout an athletic facility or sports arena. The system uses servers and set-top boxes managed through a web browser to stream live game feeds, satellite, and cable channels to screens connected to an IP network. In addition to live TV distribution, the CastNET Sports solution provides promotional messaging, advertising, real-time social media posts, and player statistics on the bottom and sides of the screens next to the live televised content. IPTV distribution of live game feeds and satellite TV to every screen. Rotating ads in branded sidebar and bottom bar of screen. Out-of-town scores & RSS sports news ticker. Player & game stats updated in branded screen sidebar. Live social media posts from selected accounts. Full screen, real-time score, game & player stats in branded screen layout. Ideal for when press and fans are not able to view score or ribbon boards. Data plug-in options for all the most popular data sources. Attention-getting menu boards with dynamic menu items. Use any web browser to add or change menu items and pricing. POS data modules that automatically update menu items and pricing. 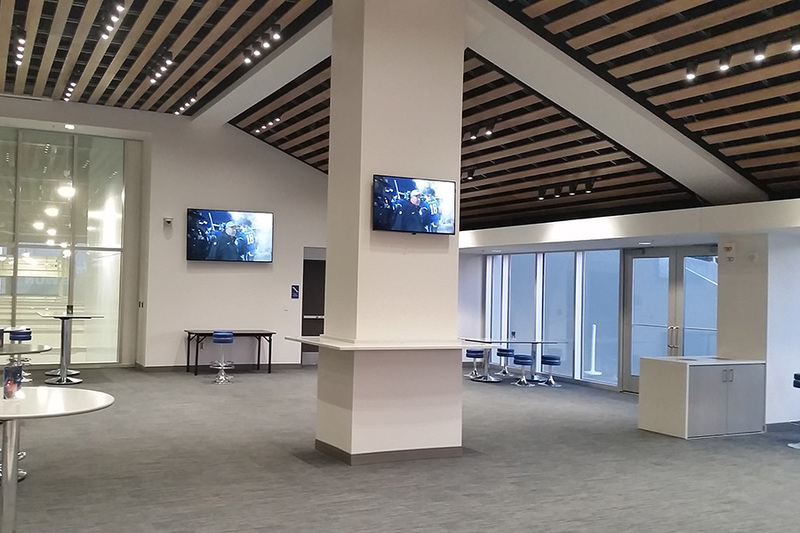 Digital signage and IPTV systems are only effective if they can keep up with a venue’s busy event schedule that includes sporting events, concerts, and more. CastNET Sports provides both scheduled content zone and manual content zone switching using a simple yet powerful software tool called GameDay Control. Both CastNET Sports’ advanced scheduling features and live GameDay Control are standard with every CastNET Sports product. Switch between live feeds, cable and satellite TV. Control screen power and volume. Gameday manual control of playlists for live content switching. 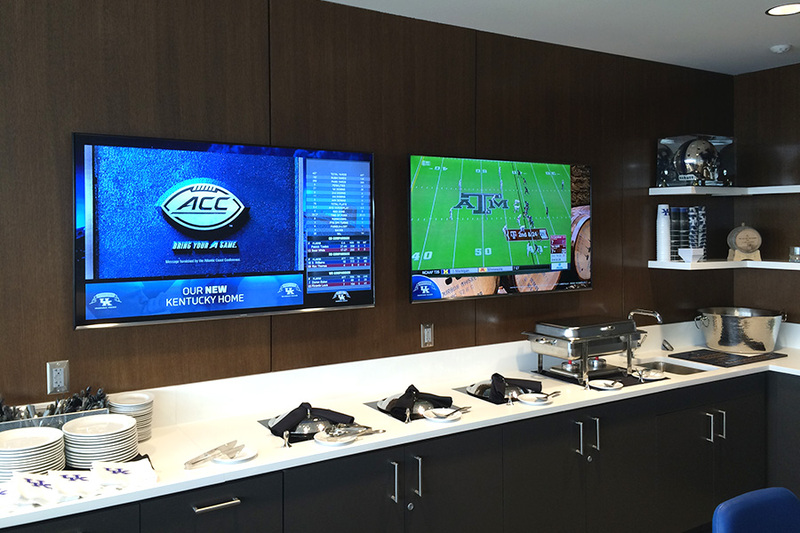 Alpha Video Sports worked with the University of Kentucky to deploy CastNET Sports, an IPTV based digital signage solution. 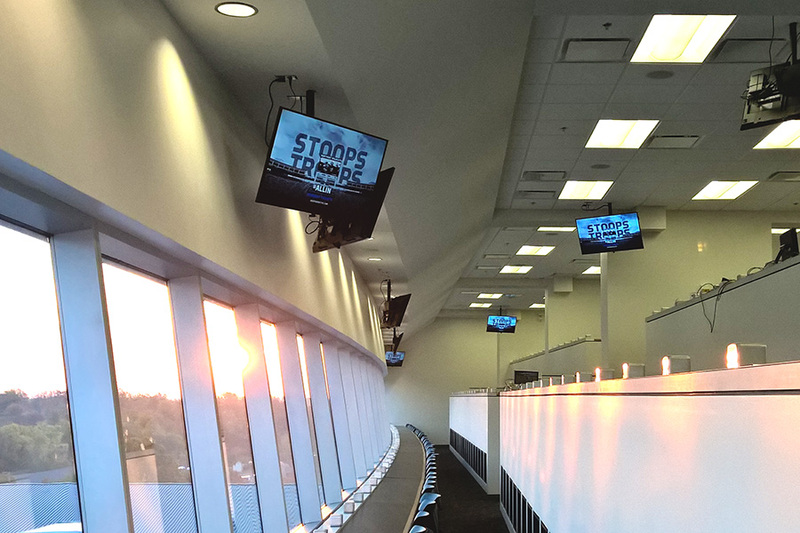 CastNET Sports manages content throughout the stadium on screens in the concourses, suites, lobbies, locker rooms, recruiting rooms, press box and lounges.